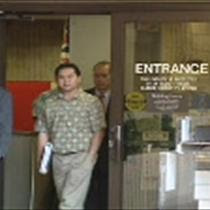 WASHINGTON—Defendants Alec Sou and Mike Sou, co-owners of Aloun Farm, pleaded guilty on Jan.13, 2010, in federal district court in Honolulu, to conspiring to commit forced labor. The two defendants, who are brothers, each face up to five years in prison for their respective roles in a labor trafficking scheme that held Thai agricultural workers in service at Aloun Farm through a scheme of debts, threats, and restraint. During their respective plea hearings, the defendants acknowledged that they conspired with one another and with others to hold 44 Thai men in forced labor on a farm operated by the defendants, using a scheme of physical restraint and threats of serious harm to intimidate the workers and hold them in fear of attempting to leave the defendants’ service. In the past fiscal year, the Civil Rights Division, in partnership with U.S. Attorney’s Offices, brought a record number of human trafficking cases, including the highest number of labor trafficking cases ever brought in a single year. The government’s case is being prosecuted by trial attorneys Susan French and Kevonne Small of the Criminal Section of the Civil Rights Division and its Human Trafficking Prosecution Unit and by Assistant U.S. Attorney Susan Cushman. This case was investigated by FBI Special Agents Gary Brown in Honolulu and Tricia Whitehill in Los Angeles, with support from ICE Special Agents Frank Kalepa and Daniel Kenney.